Industry 4.0 is the name for the fourth industrial revolution. It changes the way manufacturing takes place through the integration of Internet of Things, Big Data, Augmented Reality, data integration and other technological developments that affect the core of the manufacturing process and the production systems. The Exes Group has extensive experience in this area and can support you in carrying out various activities related to these technological developments. Nowadays, not only are we online, but so are our machines, cars, and products. Because of new possibilities, such as servitisation and prevented maintenance, it is important to have control over these different products and production machines at all times. In addition, it is possible to create and maintain a digital twin of delivered products. The Exes Group carries out this kind of specific projects for different clients, worldwide. The world is becoming more and more data-driven. In present-day society everyone has continuous access to large amounts of data. In addition to the acquisition of new data, the Exes Group can also support you in analysing these Big Data. Our engineers are specialised in finding correlations and preparing algorithms. Through these techniques, we can predict and prevent the downtime of equipment. AR is the future. 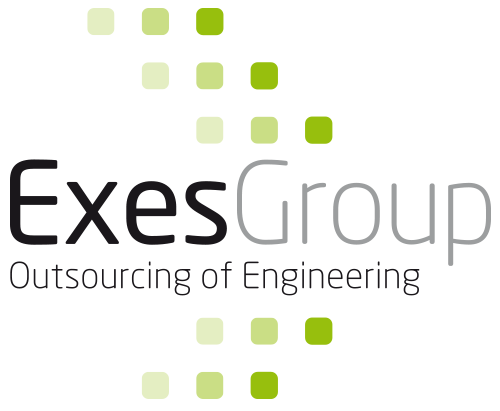 Exes Group engineers have all necessary knowledge and experience to deliver solutions in this regard. They also have extensive experience in the field of technical drawings, which enables them to support your organisation when performing maintenance work. The possibilities of augmented reality are endless; whether in relation to contemporary or complex maintenance work. AR is applicable to various products, such as animations, images or videos. The Exes Group can provide all these applications. RFID can be implemented in your production, logistics and transport processes. By registering the Radio Frequency Identification, your organisation gains insight into the status of each process. All knowledge necessary to create the software and implement the microchips is present within the Exes Group. When you have your applications carried out by our engineers, contactless identification of each object within the organisation is possible. The use of RFID saves time, enables easy (re-)writing of data, and provides immediate relevant information that is needed by your departments to manufacture and maintain products. Would you like to know more about the ways in which the Exes Group can be of service to your organisation with regard to Industry 4.0?